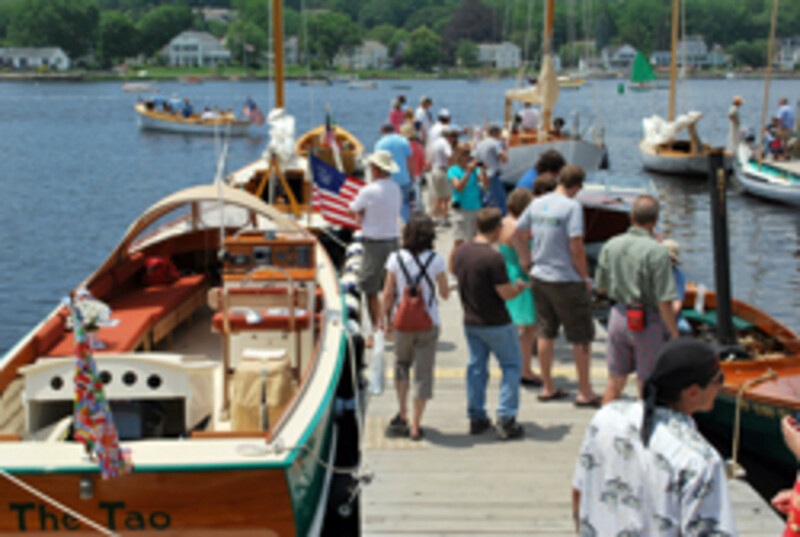 The largest gathering of wooden boats and enthusiasts in New England will converge from 9 a.m. to 5 p.m. June 29-July 1 at Mystic Seaport for the 21st annual WoodenBoat Show. The show offers something for all wooden-boat enthusiasts and maritime history buffs. More than 100 traditional and classic wooden boats of every type will be on display, from hand-crafted kayaks, to mahogany runabouts, to classic daysailers and schooners. A special focus this year will be on the traditional skills used in the ongoing restoration of the museum’s 1841 whaleship Charles W. Morgan. Mystic Seaport shipwrights and staff will demonstrate steaming and fitting planks, fastening wood with wooden pegs called “trunnels,” hand tool techniques for shaping wood with broadaxes and adzes, and many other boat building skills. There will be guided tours of the Morgan, a multimedia presentation on her history, and a lecture on the complex challenge of rigging her for her 38th Voyage in 2014. A tribute dinner to honor the Gannon and Benjamin Marine Railway of Vineyard Haven, Mass., will be hosted by WoodenBoat magazine in the museum&apos;s boat shed at 6 p.m. June 30. Tickets for the dinner must be purchased in advance by calling the WoodenBoat Store at (800) 273.7447 or by visiting www.woodenboatstore.com. Dinner tickets are $35 and seating is limited for the event. Museum admission gains access to both the WoodenBoat Show and Mystic Seaport. Admission is good for two days upon ticket validation.